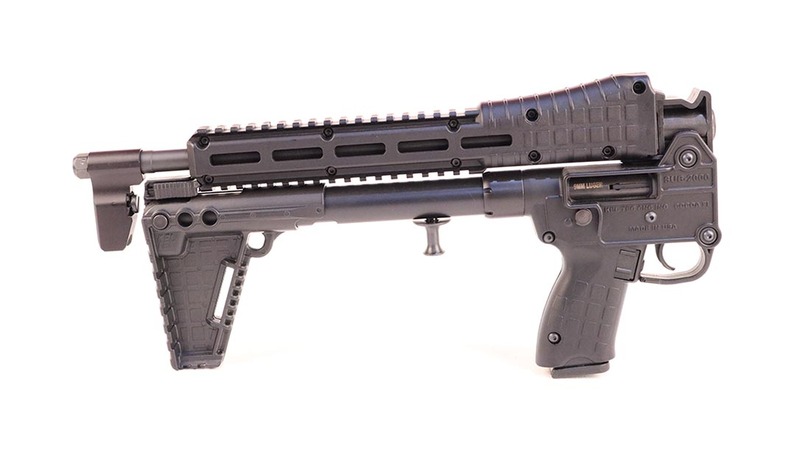 With firearms like the SUB2000 and KSG, we examine why Kel Tec is leading the way with firearm innovation without most shooters even knowing it. The SUB2000 is a revolutionary bullpup pistol-caliber long gun that folds up for easy portage. Featuring twin magazine tubes that offer truly breathtaking capacity, the KSG carries either 13 or 15 rounds on board depending upon shell length. The 1970s-era open bolt Interdynamics KG9 was George Kellgren’s first well-known gun design. The PMR30 is unlike anything else on the market. 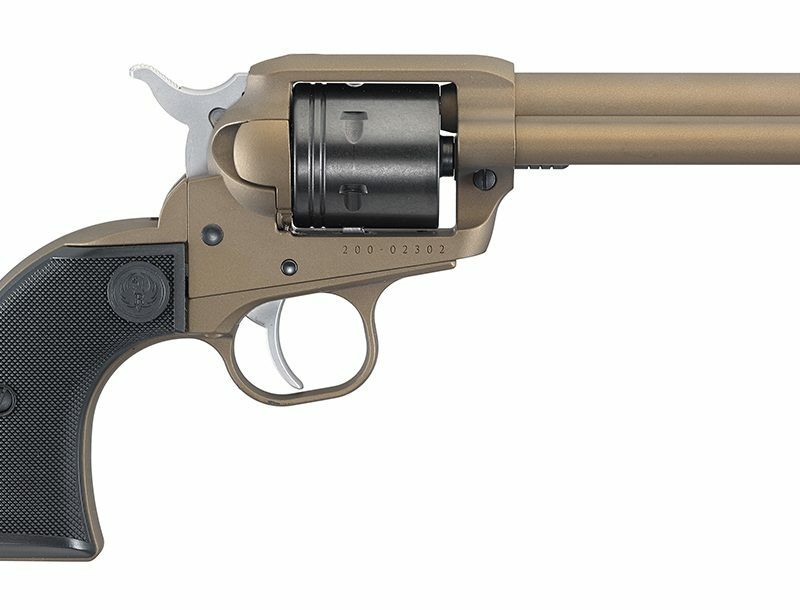 Packing a full 30 rounds of .22 Win Mag into a flush-fitting box magazine, the PMR30 combines light weight with serious firepower. As the name indicates, the CP33 holds 33 rounds in a quad-stack magazine. Unfolded, the SUB2000 is a superb utility survival arm. Once in a generation the human population produces a gun designer that is a legitimate artist. John Moses Browning was like da Vinci with parkerized steel. Mikhail Timofeyevich Kalashnikov wielded an industrial press like Michelangelo slung pigment. George Kellgren is another of the great masters. His medium is plastic. 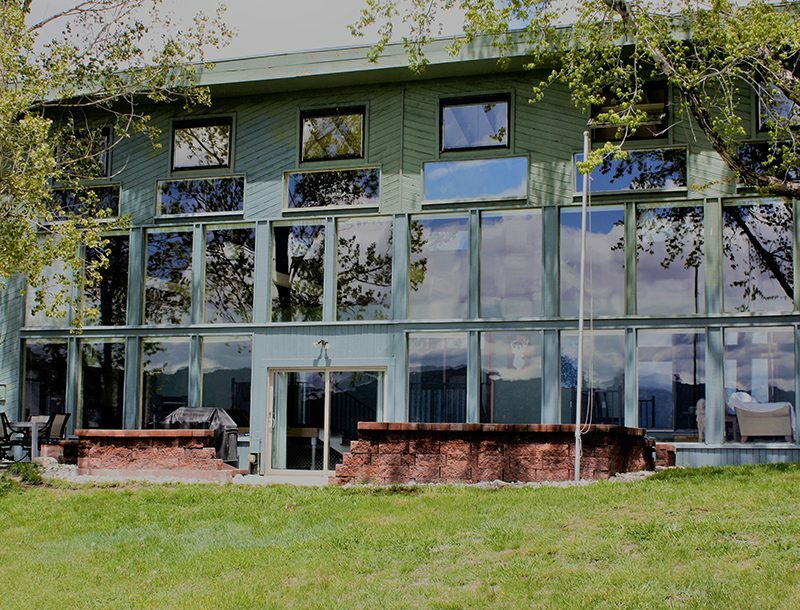 Kellgren started out back in the 1970s in Sweden. His first well-known commercial success was the Interdynamics KG9 pistol. 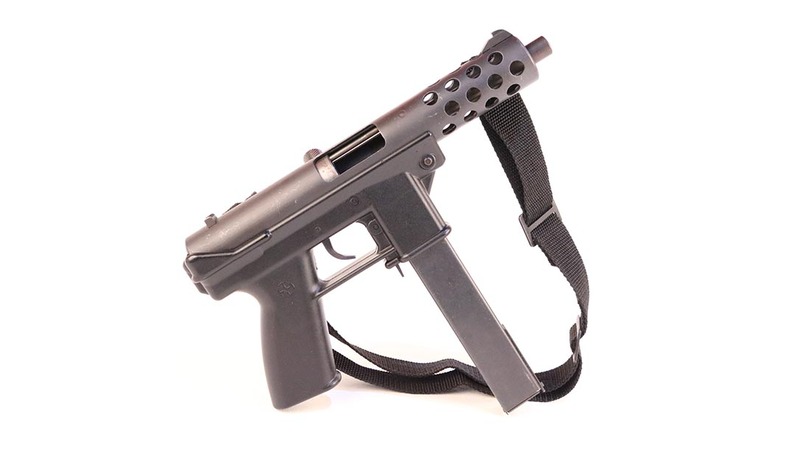 This open-bolt semi-automatic version of the MP9 submachine gun made quite a splash on the 1970s-era American gun market until it incurred the wrath of the BATF. 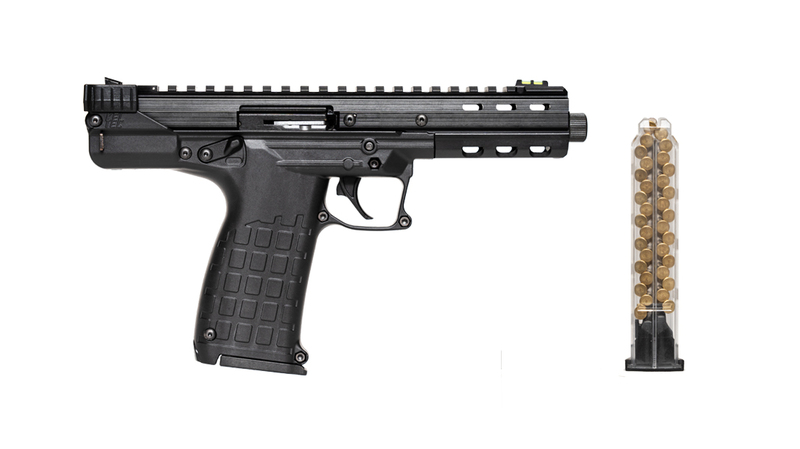 Deemed overly easy to convert to full auto, those original KG9s were redesigned and became the closed-bolt TEC9. 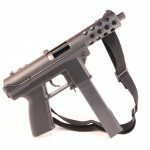 Inexpensive, simple, and effective, the TEC9 in sundry guises became background clutter at gun shops and gun shows across the country. Fast-forward to the present and Kellgren’s current company, KelTec, employs 300 Americans and churns out some of the most innovative gun designs in the world. Its simple, trim concealed carry pistols inspired the current crop of 9mm and .380 ACP pocket guns used by law-abiding Americans for personal protection from sea to shining sea. 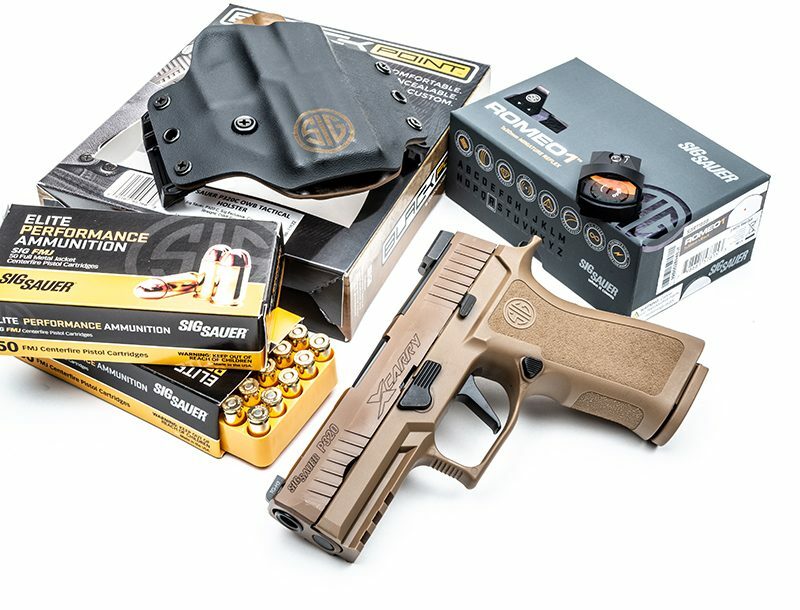 Such gun shop staples as the Ruger LCP draw obvious inspiration from Kellgren’s early designs. 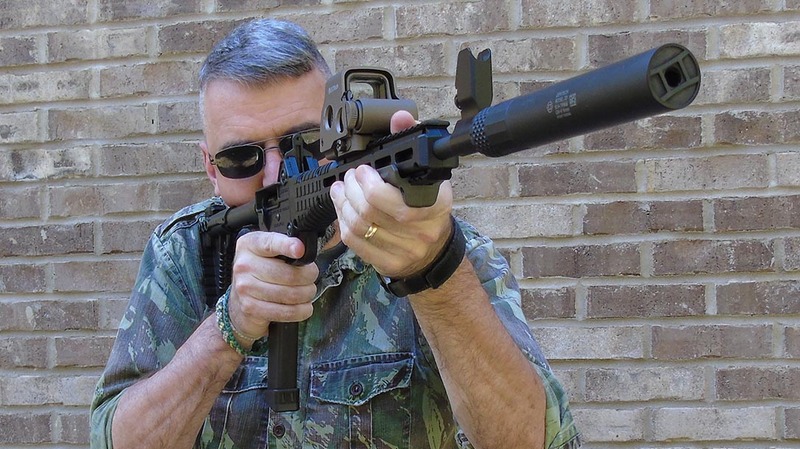 KelTec’s Florida skunk works has produced a veritable smorgasbord of remarkably radical weapons. The PMR30 weighs about a pound and carries a full 30 rounds of .22 WMR chaos packed into its flush-fitting trapezoidal box magazine. The PMR30’s 5-pound trigger pull and hi-viz sights combine with its all but recoilless design to make for an awfully sweet afternoon at the range. The gun is practically weightless and therefore painless to tote when out and about where the “Wild Things” roam. While one zippy little .22 magnum round might not be terribly impressive in a defensive encounter. However, 30 of them delivered in rapid succession would be adequate to give a grizzly bear pause. KelTec’s SUB2000 is available in 9mm and .40 S&W and can be configured to accept Glock, S&W, Canik, Beretta, or SIG magazines. A radical bullpup design, the SUB2000 breaks in the center and folds double for easy storage. As a result, the SUB2000 will fit into some of the tiniest spaces despite its full 16-inch barrel. Adding a SUB2000 to the loadout allows you to use the same ammo and mags as you might for your standard handgun while offering the greater reach and enhanced horsepower of the rifle chassis. In addition to its obvious practical applications, the SUB2000 is just great fun to run recreationally. The KelTec RFB is a mechanical masterpiece. RFB stands for “Rifle, Forward-Ejecting Bullpup,” and it is a simply fascinating contrivance. Feeding from a 20-round box magazine, the RFB fires full-sized .308 Winchester rounds through a 16-inch barrel with an overall length of less than 27 inches. A reliable gas-operated design, the RFB employs a unique mechanical action. The Achilles heel of most bullpup weapons is ejection; the RFB skins that cat masterfully. The gun feeds empty cases into an ejection tube and spits them out forward away from the operator’s face. 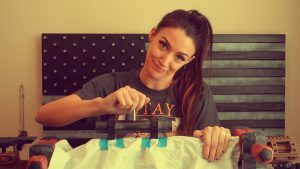 This feature allows you to run the gun safely and comfortably from either shoulder. Spent cases spill out the front of their own accord as you shoot. A few loose casings remain in the tube, but will slide out as soon as you tip the gun forward. The RFB sports rugged steel and polymer construction and, like most KelTec products, is fundamentally unlike anything else on the market. KelTec also offers a similar scaled down version of the gun called the RDB that is chambered in 5.56mm and ejects out the bottom. 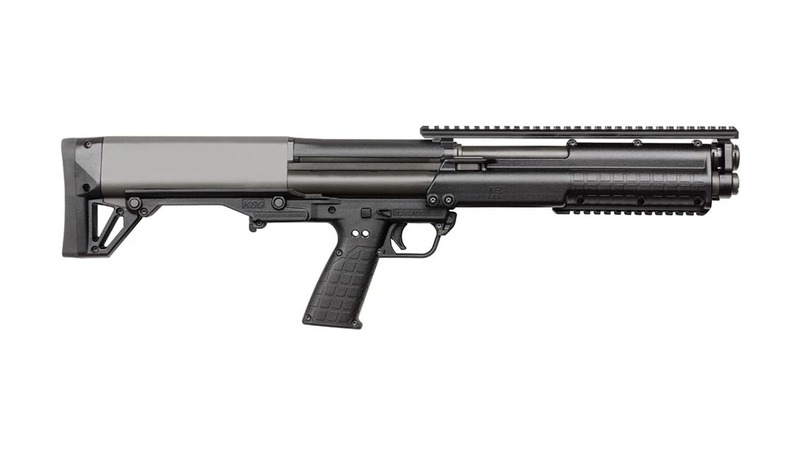 The KelTec KSG is the pump-action shotgun the Terminator would wield if the Terminator were a real thing. Featuring twin magazine tubes that offer truly breathtaking capacity, the KSG carries either 13 or 15 rounds on board depending upon shell length. If you want to get really ridiculous, the KSG25 is the same gun with extended magazine tubes that hold 25 standard 2.75-inch rounds. 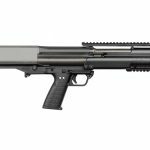 The standard KSG is yet another bullpup design that packs all that horsepower along with an 18.5-inch barrel into a package that is only 26 inches long. A miniaturized variant carries 11 rounds and is a mere 21.5 inches long, but requires NFA registration. The KSG is also one of the few commercial pump-action shotguns that will feed Aguila minishells reliably. Stuff the larger KSG25 full of minishells and you are carrying some 41 rounds on tap; that is just insane. We’re really just getting started. 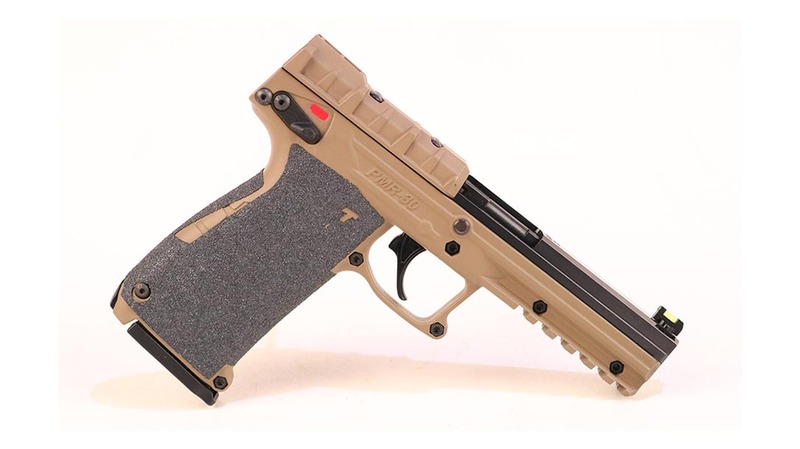 The P32 and P3AT are skinny little double action pocket guns. 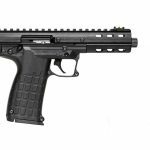 The KelTec CP33 is its new competition target .22 pistol. As the name indicates, it holds 33 rounds in a quad-stack magazine. The SU16 is a folding 5.56mm rifle called the “Sport Utility Rifle” that throws standard 5.56mm rounds from standard M4 magazines through a chassis that collapses down to about nothing. And there are still lots more. We have established that KelTec is reliably unconventional. The manufacturer was producing skinny simple economical concealed carry pistols before everybody else was. Despite its rarefied level of innovation, it has frequently been tough to find many of these KelTec marvels at your local gun emporium. That fact has caused yours truly no end of frustration. KelTec always seemed a bit like a dog chasing a squirrel. It would come out with some new earth-shaking polymer firearm and then index on to something else before it actually made enough to saturate the market properly. I recall the PMR30, in particular, was the devil to find for the longest time. That always kept us rabid gun nerds just a little bit hungry. In some cases other companies stepped in, produced something similar in massive quantities, and dominated the market space. Despite this fact, KelTec is today one of the largest handgun manufacturers in the world. They are actually amongst the top five pistol producers in the United States. Throughout it all Kel Tec has produced legendarily innovative designs at very reasonable prices. 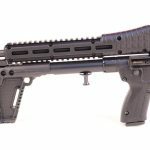 Whether your proclivities lean toward compact big-bore battle rifles, collapsible truck guns, weightless packable camp and plinking pistols, or the “Mother of All High-Capacity Scatterguns,” KelTec builds the guns that break the molds. Nobody else really even comes close. 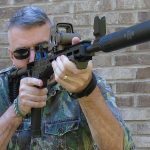 The innovators at Kel Tec just cannot seem to help themselves. Starting with the revolutionary 1970s-era KG9 9mm pistol and extending all the way to today’s latest RDB bullpup sporting rifle, Kellgren has surrounded himself with brilliant people who think as does he. 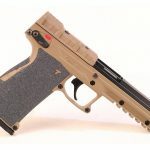 Finally, after 24 years of innovation, sweat, toil, and production, we are finally getting to the point where KelTec products have become reliable staples at your local gun emporium. Gun guys like me are the ultimate beneficiaries. Gaston Glock did indeed craft the world’s first fabulously successful polymer combat handgun, but all Glock pistols really look about the same. By contrast, Kellgren molds polymer into sundry mechanisms with the deft hand of an artist. His guns are mechanically brilliant, thoroughly utilitarian, aesthetically beautiful, and more fun than a barrel of monkeys. Kel Tec is reliably radical. For more information, please visit KelTecWeapons.com.